Single threaded connection safely connects to each generator. The two ports (120V 50A 14-50R, 120V 30A L5-30R) are protected by rubber covers. Works with any eZV P-series inverter generator. Generators can be two of the same model or two different models connected in parallel. EcoMode support allows both generators to dynamically adjust power output based on parallel load to save fuel. The Energizer eZV parallel kit is covered by a 3 year limited warranty. Our customer service department is available to assist with technical support, ordering parts, and general inquiries at 1-877-528-3772. Parallel Kit for Energizer eZV P-Series Inverter Generators Connect two Energizer eZV P-series inverter generators with this kit. 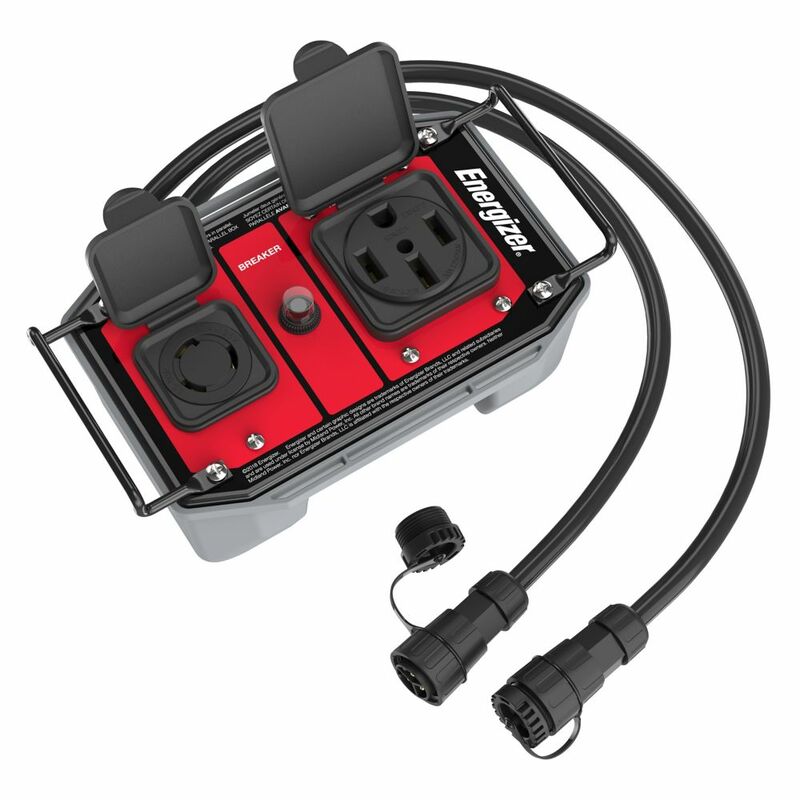 No fussing with ground wires or multiple ports, this kit connects safely to each generator with a single port. The total power output of both generators combine through the kit, allowing you to power large events or tasks.